Lightweight portable USB power pack for quick device top-ups and charges. There is unlimited 'natural' power in the world. 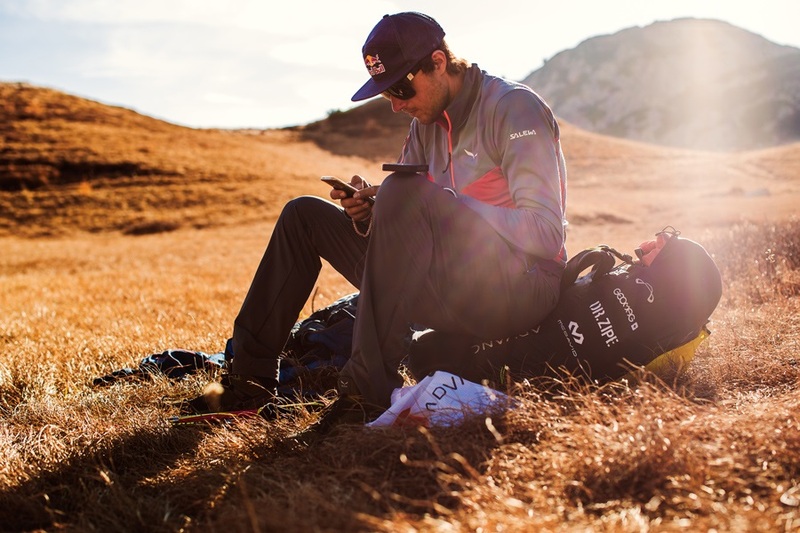 For over 15 years Powertraveller has been leading innovations in rechargeable battery and solar panel technology for outdoors enthusiasts and travellers alike. 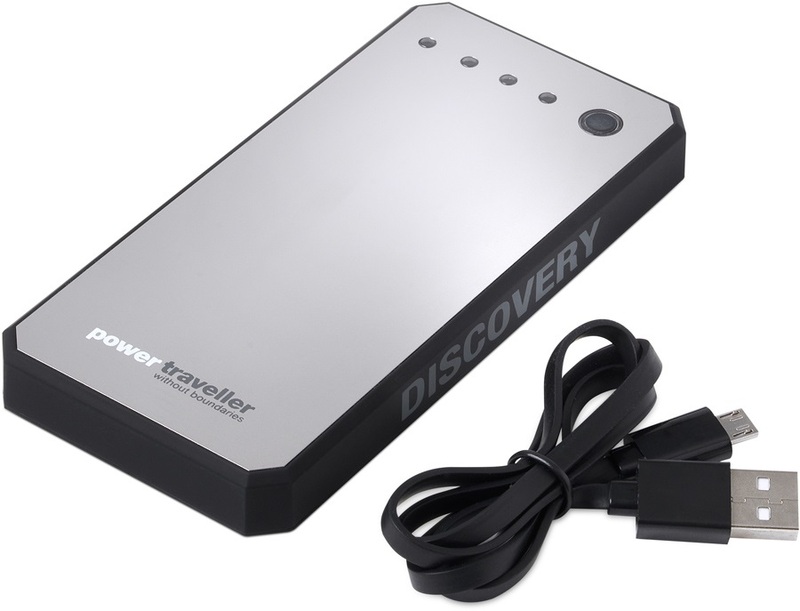 The Discovery Power Pack from PowerTraveller gives you a stylish and compact power bank housing a 6000mAh lithium polymer battery. 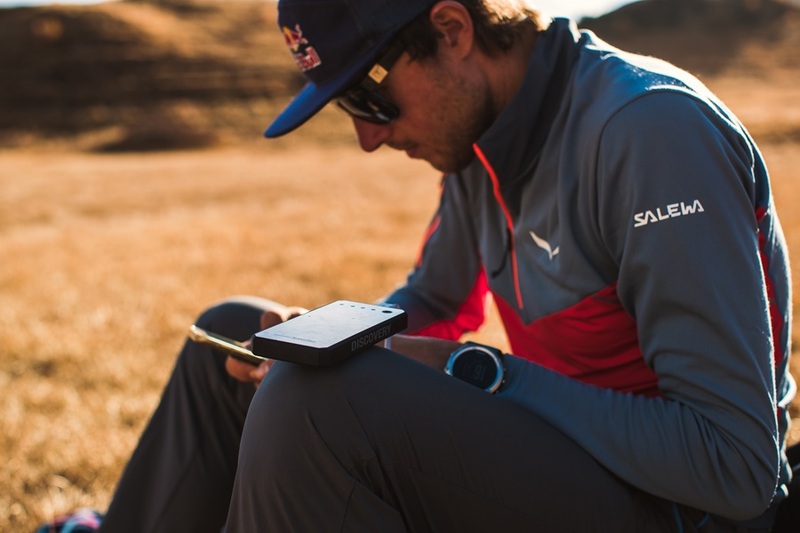 This pocket power pack is designed to charge or top-up virtually any smaller electronic device including smartphones, GPS, GoPro, smart watches and more. Great for that back-up boost of power when you're away from a wall socket. Running low on power? 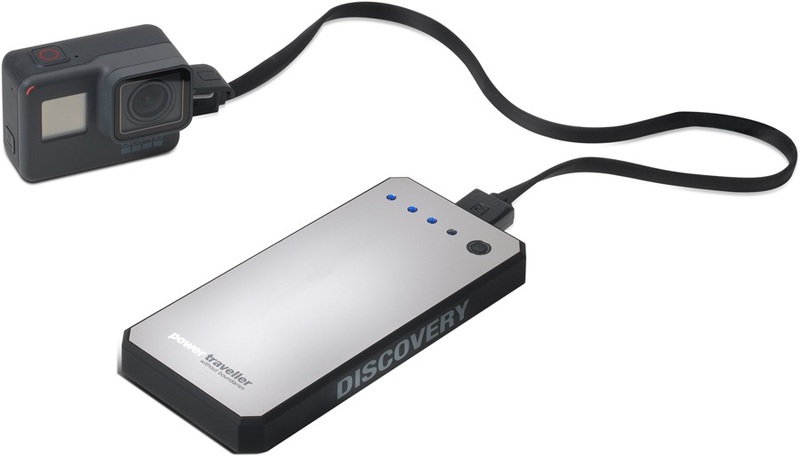 Simply connect the Discovery to your device via the included USB and you're back in the game. 2 x USB outputs - one being quick-charge - allow you to recharge two 5V devices simultaneously. 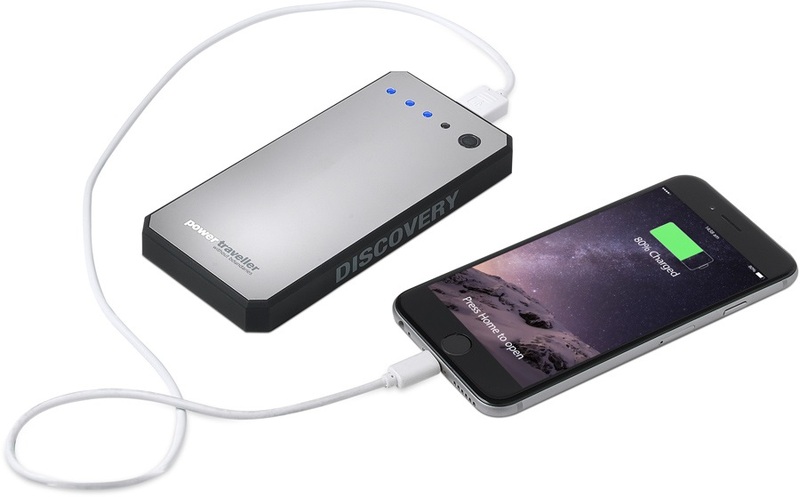 The discovery will charge smartphones up to 3 times, smart watches up to 12 times and GoPro cameras up to 4 times before the unit will require recharging. It is also capable of charging e-readers, Sat Navs, handheld games consoles, portable GPS systems and most other electronic devices that are charged via USB. 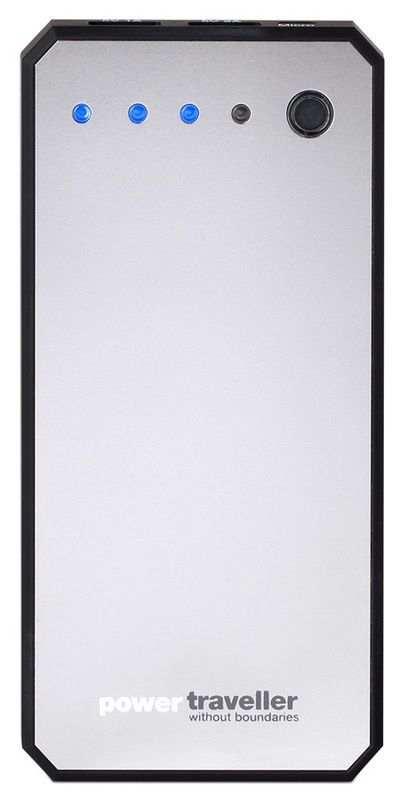 Apple iPhones and iPads will require the white sync / charge cable provided with the Apple device. 4 recessed LED lights give a real-time indicator as to the power stored in the unit (4 blue lights show the unit is fully charged). When the unit needs to be recharged the last LED will flash. Recharge the discovery via any 5V USB port using the included USB to micro USB cable. 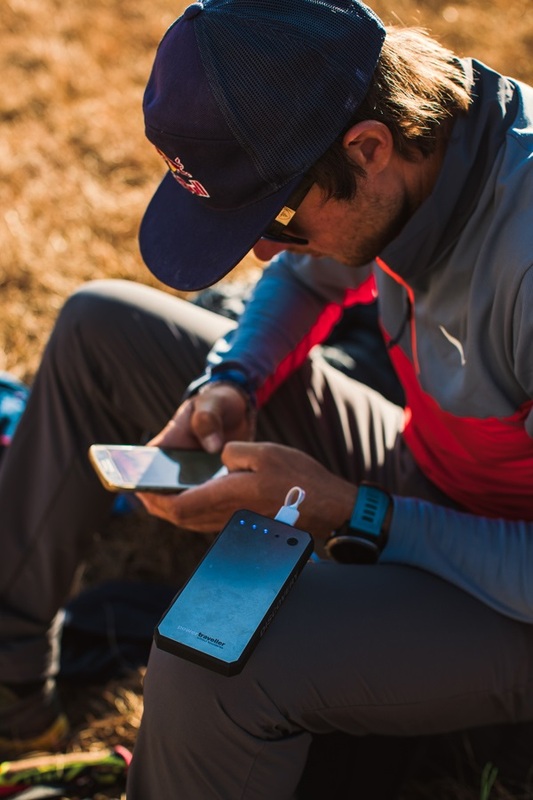 This sleek and attractive power bank makes a truly useful gift to outdoors enthusiasts, backpackers and anyone looking for a handy way to top up their devices on the go. 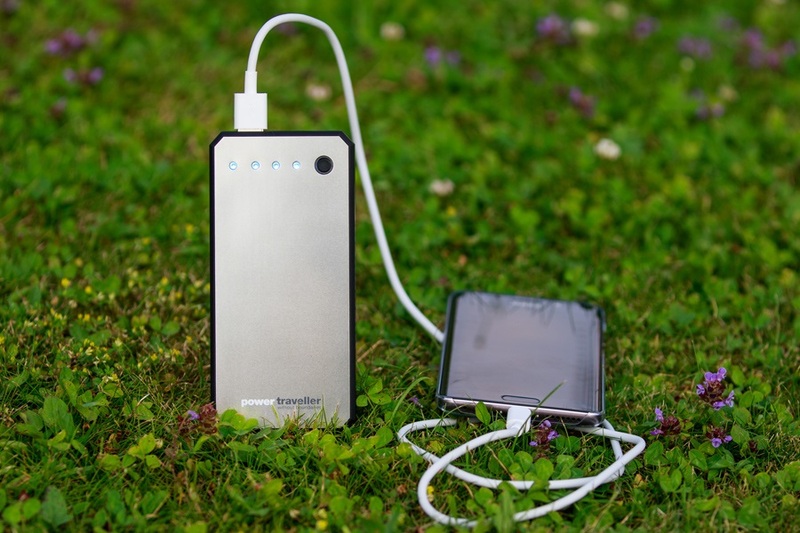 At just 157g it's the perfect companion to any outdoor trip or simply for a back up charge to keep in the car!